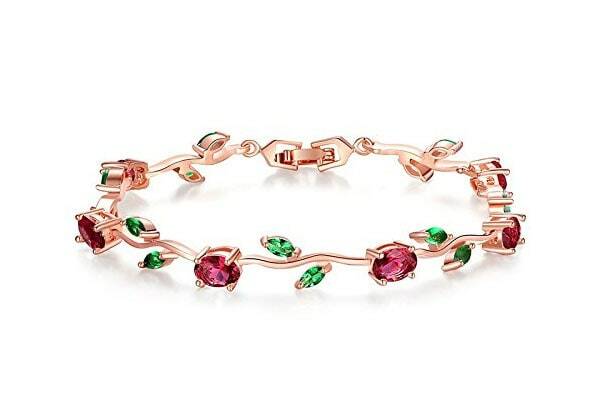 Here's a golden brass bracelet with embellished floral detail – this piece features embedded red and green faux stone that forms a vine-like pattern. Comes with a fold-over clasp that secures shut. Pair it with a plain white shirt and jeans. 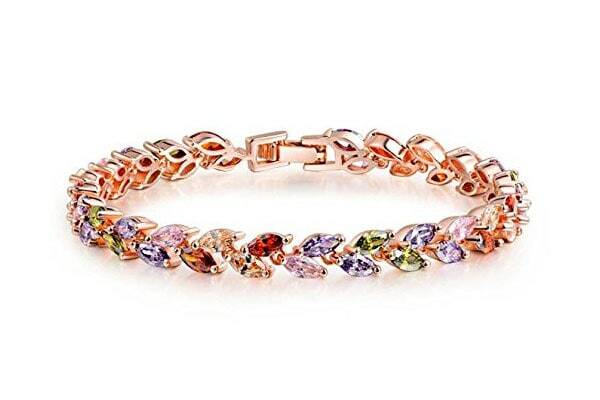 One of the best bangle bracelets in India, this extra feminine piece features multicolored faux stone. If plain pieces don't cut it for you, opt for this rainbow studded beauty. Secure it on your wrist with its fold-over clasp. Pair it with your favourite maxi dress. This striking golden brass bracelet, one of the best bangle bracelets in India, will wrap perfectly around your wrist. 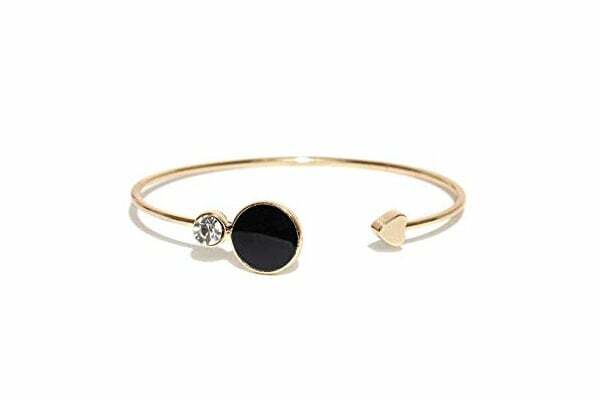 It strikes the perfect balance between plain and dressy – the gold base is minimalist, featuring a tiny heart detail on one end and faux diamond + black stone on the other. If you're looking for charm bracelets in India, you've come to the right place. This copper piece is studded with faux diamond, and features dangling details secured with a heart charm. 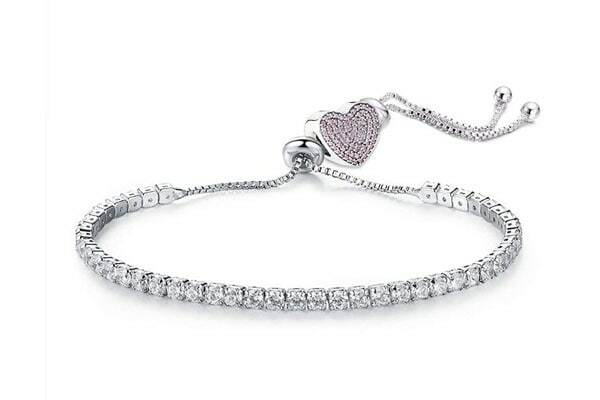 The perfect buy if you're looking for dressy and girly bracelets. 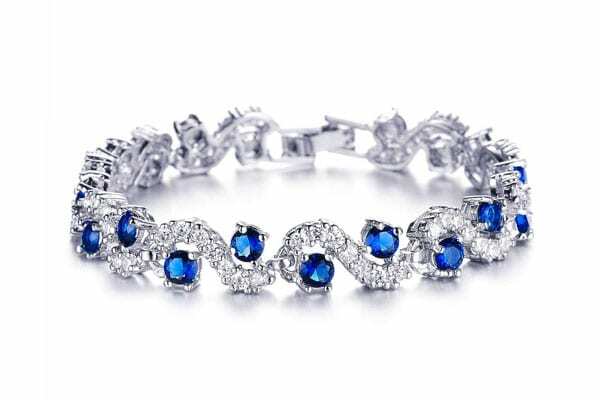 Women with a penchant for regal style will love this faux diamond-and-sapphire bracelet. The piece clasps shut and sits beautifully on your wrist. 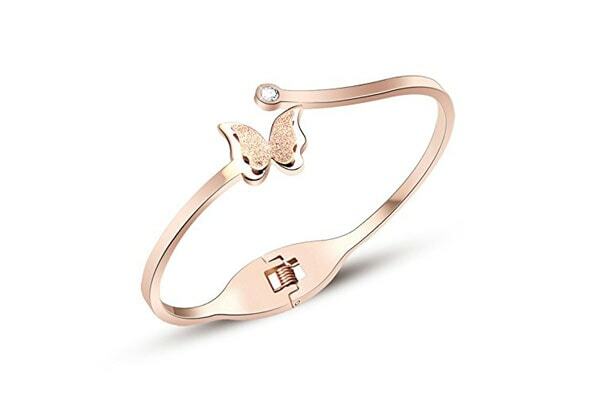 One of the best bangle bracelets in India you can order on Amazon. This brass bracelet features a faux gold base with studded faux diamond that gives it an ethereal vibe. Pair it with a nice kurta to complete your look. 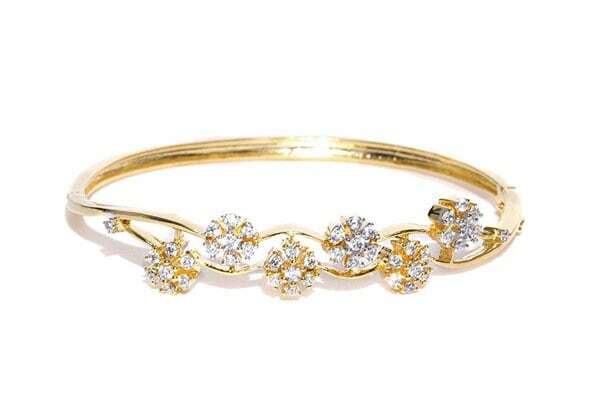 One of the best bangle bracelets in India for women who love classic pairings. 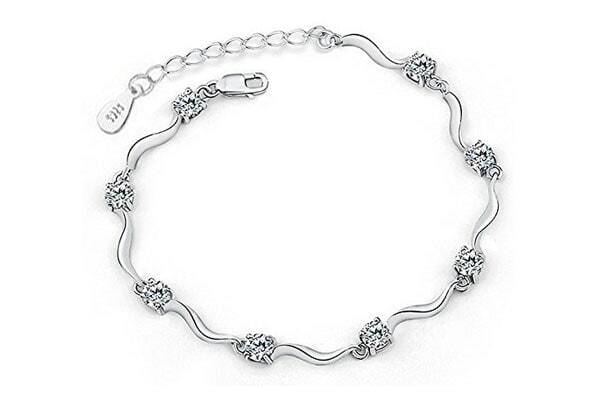 You can never go wrong with plain, silver charm bracelets in India. This flowy, twisty piece features faux diamond detail on a plain silver base. It's understated, feminine and will complement a wide variety of outfits.